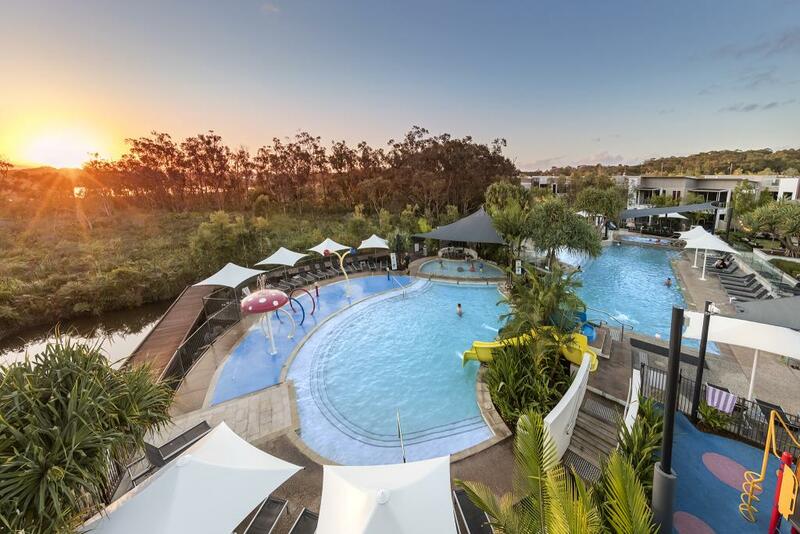 RACV Noosa Resort is located in the heart of Queensland's Sunshine Coast, just a short drive from Hastings Street in Noosa. 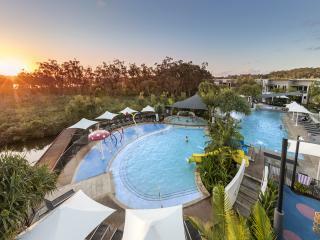 The RACV Noosa Resort is located on a 15 hectare site near Weyba Creek an offshoot of the Noosa River. 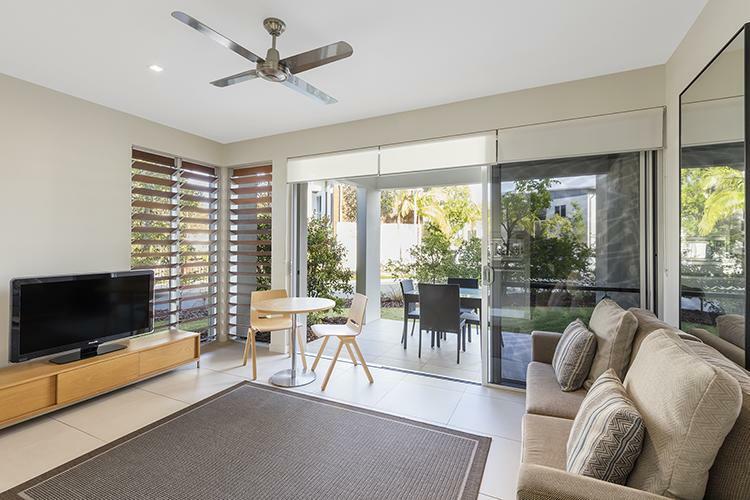 The seclusion of this location provides guests a chance to unwind and relax amongst the sounds of nature, views of the Noosa River and relaxing atmosphere. 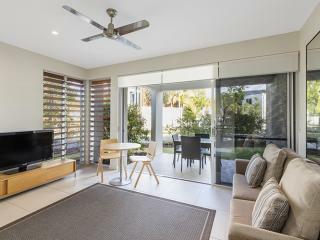 All this while still only 5 minutes' drive from Noosa's famous Hastings Street, where you can enjoy Noosa's restaurants, cafes, bars and beautiful beach. The resort offers a regular shuttle service to Hasting Streets during day light hours. 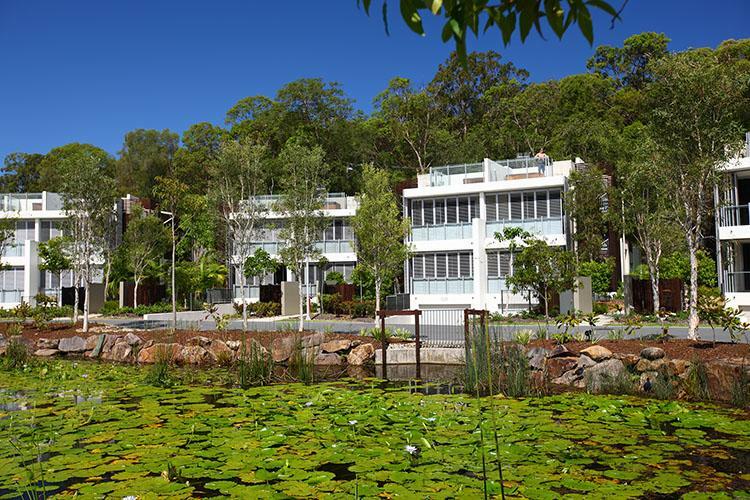 The RACV Noosa Resort has a variety of stylish suites and apartments on offer, either with private balconies, courtyards or rooftop terraces with resort views or overlooking the lush Noosa Sanctuary Conservation Reserve. All apartments feature full kitchens with European appliance and also a laundry, ideal for holiday makers who like to cater for themselves. RACV Noosa Resort has many facilities you would expect from a five star resort complex including an infinity edge lagoon pool with beach entry (great for the kids), cocktail bar, chic restaurant with alfresco dining by the pool, wood fire pizzeria, 24 hour reception, in-room dining, tennis courts, bicycle hire and eco walking track plus much more. 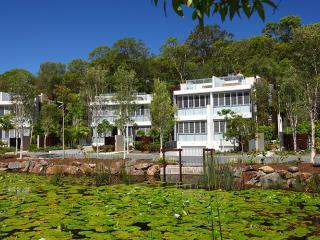 Guests of this beautiful Noosa Resort will also enjoy the One Spa for an indulgent massage or beauty treatment. 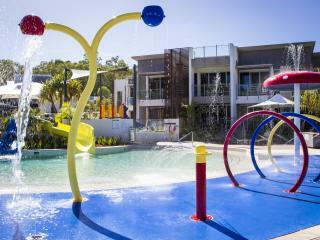 RACV Noosa Resort is an ideal choice for your next family holiday, weekend away at Noosa with friends or travellers new to the Sunshine Coast who would like a luxurious base to call home. 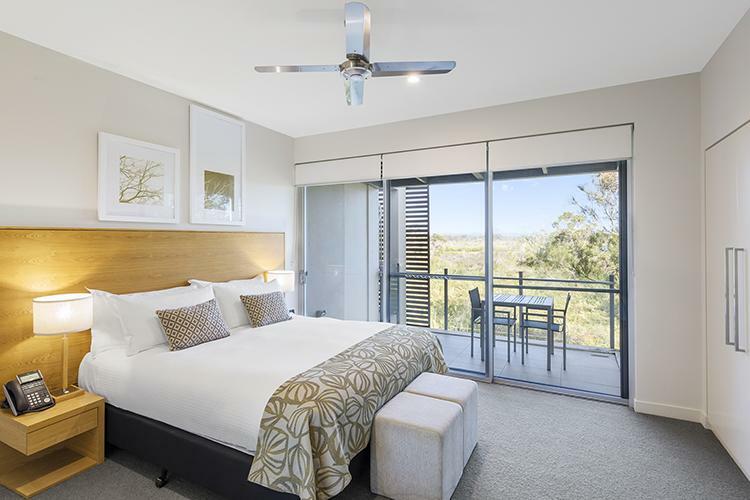 RACV Noosa Resort consists of 22 suites, 30 one bedroom apartments, 78 two and three bedroom apartments, and 25 multi-storey 3 bedroom villas, providing guests with a choice of accommodation. 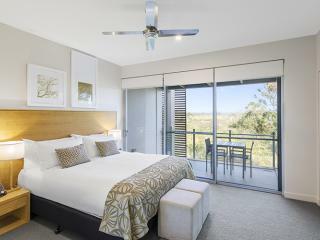 All rooms offer views of the picturesque National Park Conservation Sanctuary or the tropical resort surrounds. Accommodation features contemporary furnishings in neutral tones that echoes the coastal atmosphere - all very stylish. Suite: Located on the ground floor with a terrace or first floor with a balcony. Room size is 60m². Bedding is 1 King Bed. Maximum room capacity is 2 Adults & Children. 1 Bedroom Resort Apartment: Located on the ground floor with a terrace or first floor with a balcony. Features a large master bedroom with separate living area and kitchenette facilities. Also has views over the Resort. Room size is 60m². Bedding is 1 King Bed OR 2 Single Beds. Maximum room capacity is 2 Adults & Children. 1 Bedroom Sanctuary Apartment: Located on the ground floor with a terrace or first floor with a balcony. Features a large master bedroom with separate living area and kitchenette facilities. 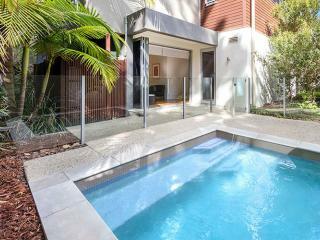 Also has views of Noosa Sanctuary Conserve Reserve. Room size is 57m². Bedding is 1 King Bed OR 2 Single Beds. Maximum room capacity is 2 Adults & Children. 2 Bedroom Resort Apartment: Located on the ground floor with a terrace or first floor with a balcony. Features a spacious master bedroom with ensuite and second bedroom and bathroom. Full kitchen facilities and separate living and dining area. Views from private balcony or terrace of the resort. Room size is 121m². Bedding is 2 King Beds OR 1 King Bed + 2 Single Beds OR 4 Single Beds. Maximum room capacity is 4 Adults & 1 Child. 2 Bedroom Sanctuary Apartment: Located on the ground floor with a terrace or first floor with a balcony. Features a spacious master bedroom with ensuite and second bedroom and bathroom. Full kitchen facilities and separate living and dining area. Views from private balcony or terrace of the Noosa Sanctuary Conserve Reserve. Room size is 121m². Bedding is 2 King Beds OR 1 King Bed + 2 Single Beds OR 4 Single Beds. Maximum room capacity is 4 Adults & 1 Child. 3 Bedroom Sanctuary Apartment: Located on the ground floor with a terrace or first floor with a balcony. Features 3 bathrooms, full kitchen facilities and open plan living. Room size is 200m². Bedding is 3 King Beds OR 2 King Beds + 2 Single Beds OR 1 King Bed + 4 Single Beds. Maximum room capacity is 6 Adults & 1 Child. 3 Bedroom Precinct Rooftop Spa Villa: Two story villa featuring open plan living with full kitchen facilities. There are 2 private terrace or balconies as well as a rooftop spa. Room size is 186m². Bedding is 1 King Bed + 4 Single Beds OR 3 King Beds OR 2 King Beds + 2 Single Beds. Maximum room capacity is 6 Adults & 1 Child. 3 Bedroom Precinct Courtyard Plunge Pool Villa: Two story villas featuring open plan living with full kitchen facilities and 2 private terrace or balconies including a private plunge pool. Room size is 186m². Bedding is 1 King Bed + 4 Single Beds OR 3 King Beds OR 2 King Beds + 2 Single Beds. Maximum room capacity is 6 Adults & 1 Child. 3 Bedroom Enclave Luxury Villa: Located within a private gated precinct of the resort. Built over three or four levels, these villas feature open plan living, a second lounge room, five TVs and a rooftop terrace. 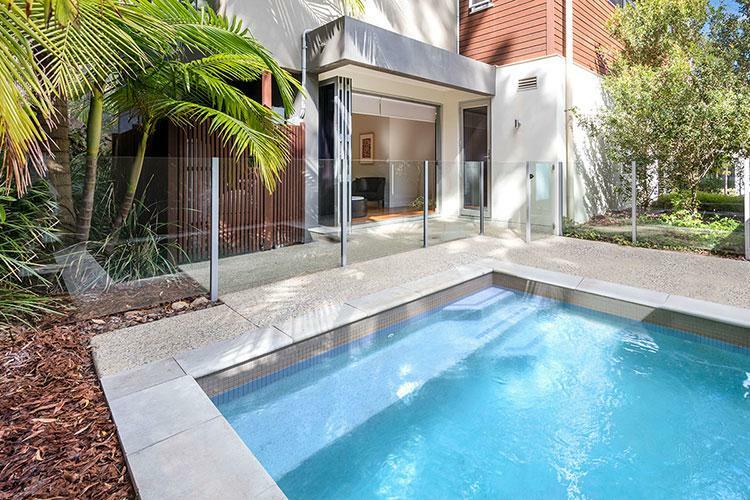 Also has a private lift, heated plunge pool and multi car garage. 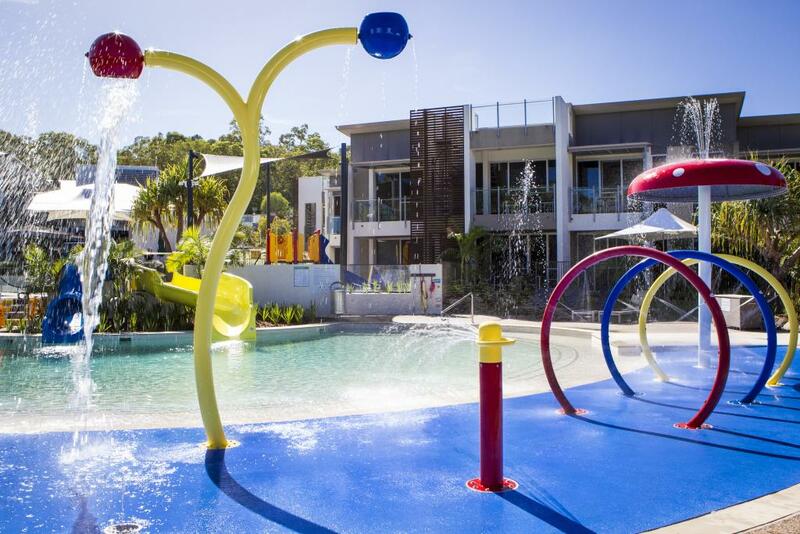 Residents of The Enclave enjoy exclusive access to a 15 metre heated lap pool with communal BBQ area, as well as full access to all other facilities of the resort. Room size is 430m² - 510m². Bedding is 1 King Bed + 2 King Splits. Maximum room capacity is 6 Adults & 1 Child. Arcuri Restaurant: Open seven days a week for breakfast, and dinner providing modern Australian cuisine prepared with the freshest of local produce. Guests can choose to dine inside or out by the pool, alfresco style. Arrangements can also be made for private events and special occasions. Meals can also be delivered to your apartment. Resort Bar: Offers light meals throughout the day including wood fired pizza. The perfect environment to relax with a pre-dinner drink while enjoying the serene surroundings of the sanctuary and the resorts stunning lagoon pool. One Spa: provides a luxurious range of treatments that revive and relax the body. 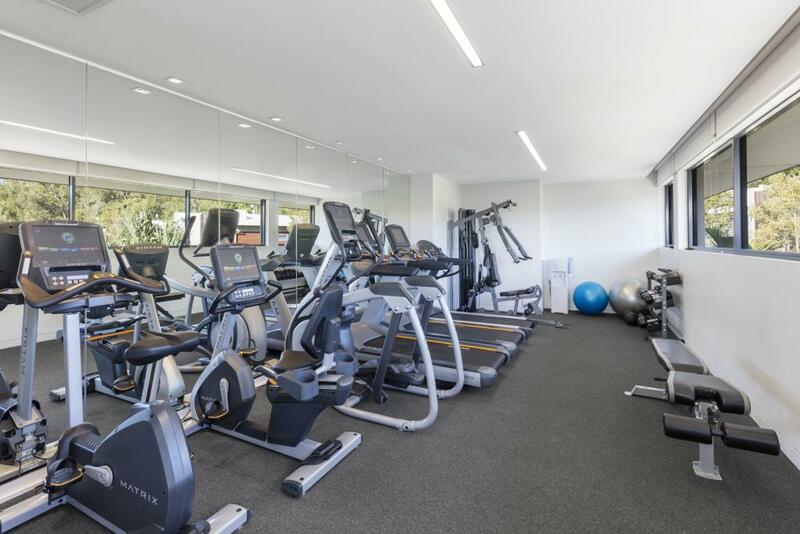 The One Spa at RACV Noosa features 6 luxury treatment rooms including one couple's suite, invigorating Vichy Shower and relaxation area to unwind pre and post treatment. 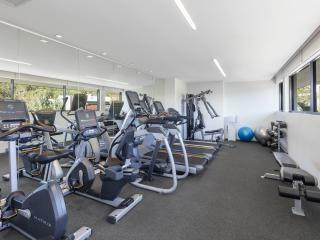 Offering a wide selection of treatments and services the One Spa takes a holistic approach to health and well-being. 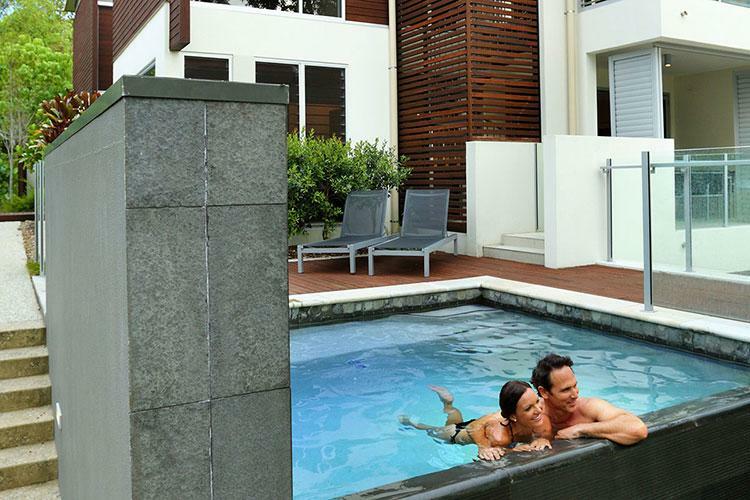 Special Noosa Offer: Stay 7 Nights & Only Pay For 6!